All the detail of ERTL's Signature Die-Cast Replicas in durable, child-friendly plastic construction. John Deere Big Farm fits into any sandbox. 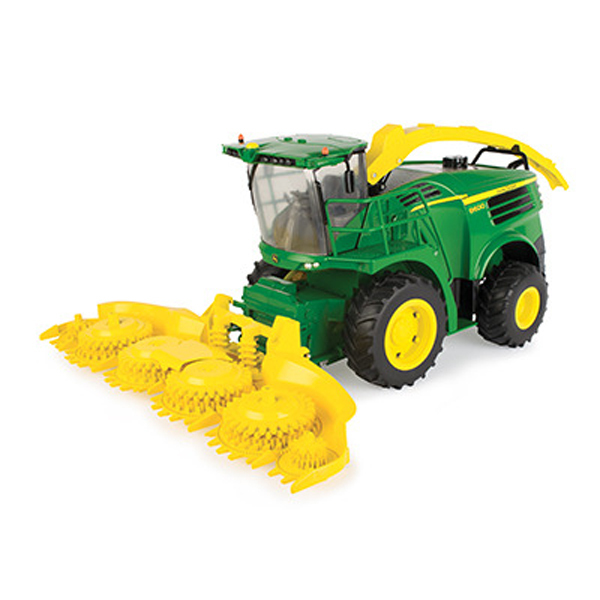 The 8600 Self Propelled Forage Harvester features rotating gathering and saw blades when harvester is pushed forwarder. The feeder housing will raise and lower and the unloading spout is movable. Steerable rear wheels and oscillating rear axle allow for easy mobility. The rear hitch allows for 1:16 wagons to be towed behind-- a great compliment to the new 1:16 Forage Wagon (LP67325) sold separately. Lights and sounds enhance the play. Requires 3AAA batteries (included).